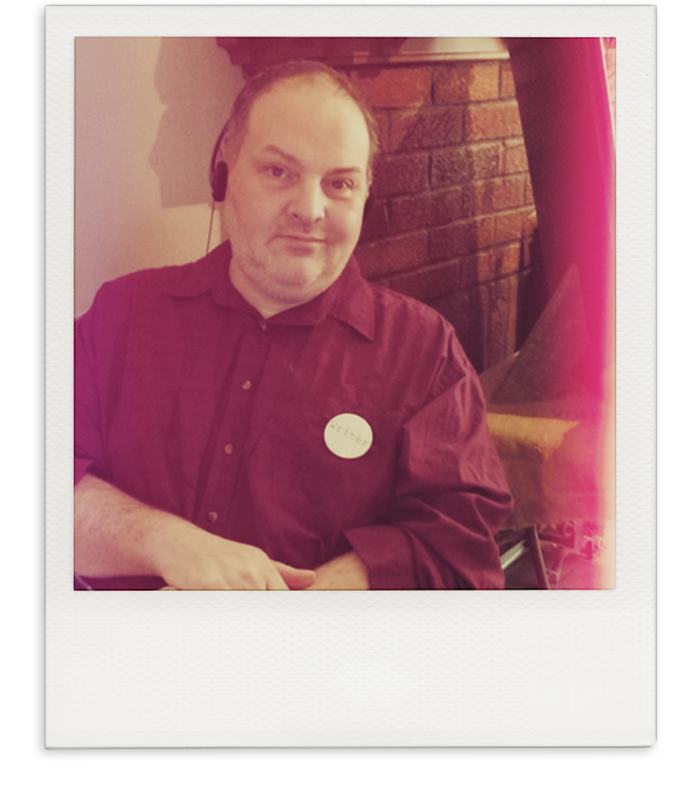 Gregory L. Norris is a full-time professional writer, with work appearing in numerous short story anthologies, national magazines, novels, the occasional TV episode, and, so far, one produced feature film. A former feature writer and columnist at SCI FI, the official magazine of the Sci Fi Channel (before all those ridiculous Ys invaded), he once worked as a screenwriter on two episodes of Paramount’s modern classic, Star Trek: Voyager. Two of his paranormal novels (written under his rom-de-plume, Jo Atkinson) were published by Home Shopping Network as part of their “Escape With Romance” line—the first time HSN has offered novels to their global customer base. He judged the 2012 Lambda Awards in the SF/F/H category. In 2016, Norris won Honorable Mention in the prestigious Roswell Awards in Short SF. Three times now, his short stories have notched Honorable Mentions by Ellen Datlow, and in 2016, he won Honorable Mention in the Roswell Awards in Short SF. Gerry Anderson’s outer space parable, SPACE:1999 — about a group of lunar colonists sent on an predestined odyssey to the stars when Earth’s moon is blown out of orbit. I was ten-years-old on the premiere date in 1975, sitting on cross-legged on the living room floor. The very next day, I picked up my pen. What do you like about it? 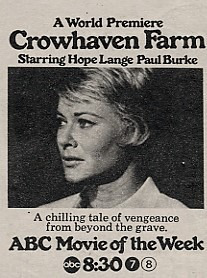 I’m very partial to those old ABC TV movies of the week—THE HOUSE THAT WOULD NOT DIE, THE NIGHT STALKER, A COLD NIGHT’S DEATH. I’d probably count CROWHAVEN FARM as my favorite. My mother and I would huddle together in terror when it was rebroadcast. Years later in 1993, I found myself in New York City at ABC TV, reporting on the daytime soap LOVING. And who was riding in the elevator with me? The stunning Patricia Barry, who played one of the witches in that amazing flick and was starring on the soap. She was a total class act. “Jackie Blue” by the Ozark Mountain Daredevils. Power Pop—some of those songs haunt me, like Gilbert O’Sullivan’s “Alone Again, Naturally” and “Brother Louie” by Stories. And, of course, the above referenced “Jackie Blue”. When I hear them now, I’m reminded of listening to them on the radio way-back-when, and how they often invaded my dreams in that time before I began writing truths in fiction. Denim—because the others make me itch just thinking about having worn them! I’m working on a screenplay at the request of an actor’s production company. A novel set on Mars during terraformation. A pair of novellas. A stack of short stories. All of my unwritten projects howl at me in the night to complete them, and as their dutiful parent, I’m doing my best to listen.